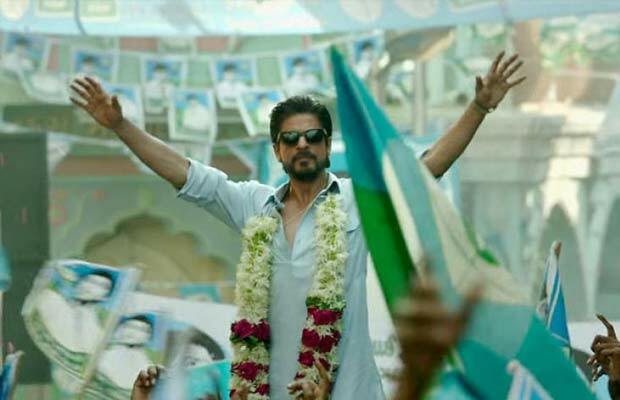 Want To Know When Trailer Of Shah Rukh Khan's Raees Is Finally Releasing? Read Here! Want To Know When Trailer Of Shah Rukh Khan’s Raees Is Finally Releasing? Read Here! After a lot of change in release dates of the movie and trailer, Shah Rukh Khan’s Raaes trailer is finally set to release. The teaser was going to be launched last year as it was slated to release on Eid this year. But to avoid a box-office clash with Salman Khan’s Sultan, it was postponed to another suitable date. It is one of the most awaited Shah Rukh movies and it’s set to release on the Republic Day weekend. But the Raees trailer is not even out yet. The fans are going crazy waiting for it. Earlier there were reports that the film’s trailer will be launched with close friend Karan Johar’s Ae Dil Hai Mushkil, but that didn’t happen. The reason speculated was the trailers of Aamir Khan’s Dangal and Hrithik Roshan’s Kaabil. Kaabil is in fact releasing on the same day as Raees!! Post that, the reports floating around were that it will release on SRK’s 51st birthday on November 2nd. That didn’t happen either! Now, we finally have something substantial as it is the producer of the film, Ritesh Sidhwani, who has made the announcement this time. Merely this tweet has got fans crazy and ‘Raees Trailer Coming Soon’ is already trending at the top. The makers of this film surely know how to toy and tease the fans to get them hooked and excited. The next 48 hours are going to be the longest 48 hours for all the SRK fans!! Previous articleOMG! Madonna’s Son Rocco Ritchie Arrested For This Reason! Next articleMubarakan First Look: Double Treat For Arjun Kapoor Fans!